Communities In Schools (CIS) of Chicago hosted “Cocktails and Conversation,” our annual donors’ event on Thursday, September 29, 2016. Themed “Capital I,” the event gave friends and supporters insights on our organization’s achievements during the 2015-2016 school year — a year when we surpassed our goal of serving 50,000 Chicago public school students and reached more than 58,500 at 122 schools with nearly 1,400 programs. With a call to continue to invest in students, in Chicago, and support as our work, especially during our expansion to 13 more schools for the 2016-2017 year. Guests heard from the executive director, Jane Mentzinger; board member Ryan Harris, and college student Miranda Davis, who graduated from a Chicago high school in 2013 and benefited from CIS of Chicago services. All proceeds raised will support our vision of ensuring that each and every Chicago public school student graduates high school prepared for success. Since we began working in Chicago in 1988, we have impacted more than 900,000 students. 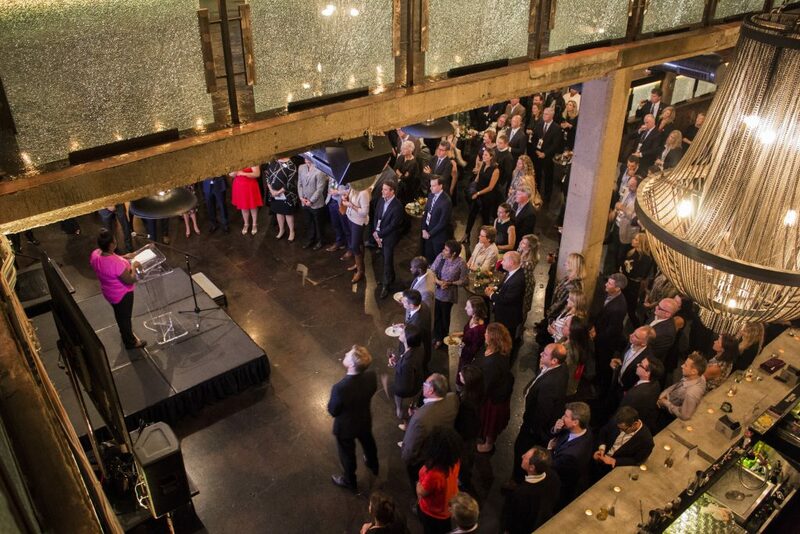 Held at Morgan Manufacturing in Fulton Market, the fundraising event was sponsored by many companies including Altria, Deloitte, Grosvenor Capital Management and Spikeball, with generous underwriting from the board of the directors. The guests enjoyed small bites from Girl & the Goat. “The event was a big success and puts us in a great position to expand our intensive program – where we place a full-time Masters-level social worker in schools – up to 10 more Chicago public schools in the next two years,” said Mentzinger.